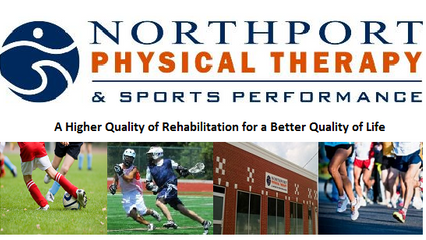 The Mission of Ivy Rehab Northport is to provide outstanding, evidence based physical therapy, tailored to the personal need of each individual we treat so you the patient can reach your goals as quickly and safely as possible. Owner Heather Williams PT, DPT, received her training at Hospital for Special Surgery, is credentialed as an Advanced Hip Clinician by the HSS Rehabilitation Network, and has extensive experience treating patients with hip disorders, both conservatively and post-operatively. A former Division I athlete and local elite runner, Heather has helped numerous athletes both recreationally and world class get back to their sport. Patricia is a Licensed Physical Therapist, Certified Athletic Trainer, and Certified Strength and Conditioning Specialist. She holds a Bachelor of Science in physical and health education/athletic training from James Madison University, a Master of Science in exercise & sports science/athletic training from University of Florida, and a Bachelor of Science in physical therapy from the State University of New York at Stony Brook. Ms. Patane specializes in orthopedic and post-surgical injury rehabilitation, with a particular interest in the prevention and care of athletic injuries. In addition to her work at Northport Physical Therapy, Ms. Patane is a professor in the field of sports medicine at SUNY Stony Brook.